Outsource your sales performance management on a genuine Business Platform model? Indeed you can! You may recall we first started introduced the concept of the "Business Platform" a few years ago, when we discussed a "Business Services Cloud" where SaaS-providers could start building a BPO capability to deliver their solutions to clients and ensure they were making maximum use of the application. We also made the point that if BPO providers were merely selling commodity processes on commodity packaged software, they were going to get sucked into a race to the bottom, where the focus was all about low-cost and delivery-scale. Hence, those providers wanting a competitive offering, need to provide distinctive services that can help their clients transition effectively to new processes that really work with their businesses. Simply selling packaged software through various channels, with minimal business transformation support, is not going to help clients take full advantage of what they have - and often leaves them only using a fraction of the functionality of the software. However, the very concept of leading with BPO capability is simply too alien for many software providers to grasp - they still live by the stack 'em high and sell 'em cheap concept of pushing out license sales as aggressively as they can through whatever channel partner that will sell for them. However, one software provider which has gone against the grain is Sales Performance Management provider Synygy, which quickly realized developing its own BPO delivery competency would create a major competitive advantage over its competitors, and also help it develop deep, sticky relationships with its clients. We recently investigated how three clients organizations are improving business outcomes using this Business Platform solution for their sales compensation management, which has direct impact on their top-line. The paper entitled Drive Revenues and Lower Costs by Outsourcing Sales Performance Management outlines the business benefits and return on investment (ROI) achieved by three multinational companies that have outsourced the end-to-end management of their sales compensation programs—inclusive of technology, people, and processes—to Synygy. HfS: Good morning Mark – can you please give us some back ground on how your company got started? Mark Stiffler (CEO, Synygy): I started Synygy 21 years ago, which was after a stint at management consulting and graduating with an MBA from the Sloan School of Management at the Massachusetts Institute of Technology (MIT). I actually began Synygy as a services company, more management consulting, focused initially on analytical work and then compensation design, which in turn led to the creation of software, and eventually a transition to being much more of a software company. More recently we have balanced ourselves back along the lines of what HfS presents as a Business Platform: software, implementation, expertise, and continuous improvement—all offered as a singular managed service. HfS: Moving from a software provider to a services provider business model has proven incredibly difficult. Can you share with us some of your views on this? Mark: Software and services are very different types of businesses. For us, software has been a relatively transactional relationship versus a BPO service that is a daily relationship with the client. Synygy today for the most part has two distinct types of clients: software and BPO clients (with some in the middle). Software-oriented clients want to run their sales operations and processes on their own while at the other end of the spectrum—BPO—it’s Synygy that’s running the sales operations department of the client. What is different between our software clients and BPO clients is the degree to which they benefit from Synygy’s expertise in complex business processes like sales compensation management. As was seen in the case studies you conducted, real value is being derived from the expert services that are being provided on top of the software. But it is interesting to see that costs savings were also a considerable benefit for those same clients. That is not a value driver that we typically lead with! HfS: You don't pitch cost savings? Why is this? 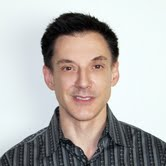 Mark: All of our clients are recurring services relationships, which is the basis of BPO. Until recently we treated software clients with the same level of services as our BPO clients and, frankly, we gave them too much support on how to make best use of the software. We now have moved many to a Managed Support contract (think of it as half way to outsourcing) where they pay to receive more services than from their software relationship. When we stopped giving-away expertise and advice for free to software clients, many realized that there was real value associated with the provision of that and decided to buy the managed support. 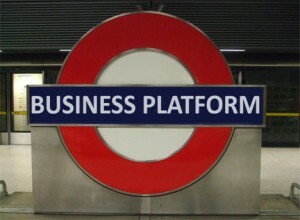 HfS: So what market are you really going after: Software, Services or Business Platforms? HfS: When you look at your company’s evolution do you see any changes as to why organizations are outsourcing SPM? Mark: What has changed is that companies like Salesforce.com have shown how SaaS can be used to deliver software from the cloud and this has allowed us to have a conversation about managed support and outsourcing services on top of SaaS. Software in the cloud is still just software and if you want to take advantage of expertise to optimize your business processes you need to think about more than software. Outsourcing is a good solution for a very complex problem like sales performance management. HfS: Are you very rigid in terms of moving client onto your processes? Mark: That has shifted as well. For many years it was a blank slate approach in which we would redesign the client’s processes from scratch. Now we strike a balance between standards and flexibility, combining industry-wide commonalities with client-specific requirements. We are also changing the way we perform implementations. While we still do them as a fixed fee based on an estimation of work effort, we are significantly changing the way we work with a client through the implementation. We are using a far more interactive process, with continuous feedback from the client as we implement the solution on a daily basis. HfS: What do you think of your competitors that develop the software and create partnerships with service providers to provide the services? What is lost in a partnership that Synygy can provide as a singular managed service? Mark: This is the key differentiator for Synygy. Does a client want to pick a piece of software, do a detailed vendor comparison, and then do the same for an implementation services firm? There is a lot of cost and risk for sourcing from two providers and then what? You are left to manage it on your own? We provide the software, datacenter services for hosting the software, implementation services, and then the managed support or outsourcing services to get the most out of the investment. The cloud makes software more of a commodity as value is shifted to the services. Services are the key differentiator against the software companies and Synygy’s outsourcing services are its key differentiator against the services implementers. The Business Platform concept encapsulates this, which is exciting since it dovetails with Synygy’s move to a more balanced SPM offering. The ‘above the cloud’ approach to sales performance management has caught on within the company and we are looking forward to the reception in the market. HfS: Would you do anything different if we were to start up again? Mark: We feel that we are almost like a start-up. We have seen three iterations of market development and collapse through acquisitions of competition and competitors going out of business. This market iteration is coming together nicely with SaaS, implementation services, and outsourcing services enabling Business Platforms. HfS: If you were given $1 billion, would you switch careers? Mark: I don’t know about that (laughter), but I am fascinated about changing old things into new things and that is why we have our worldwide HQ in a former power plant. Pursuing historical projects like that would be of interest. HfS: What advice would you give to your peers that are seeing increasing commoditization? Mark: I would rather not give advice. We have the formula and we will keep that a secret. HfS: Lol! That was a great answer. Thanks so much for your time today, Mark - we are excited to share your story with our readers. Click here to download your complimentary copy of "Drive Revenues and Lower Costs by Outsourcing Sales Performance Management"